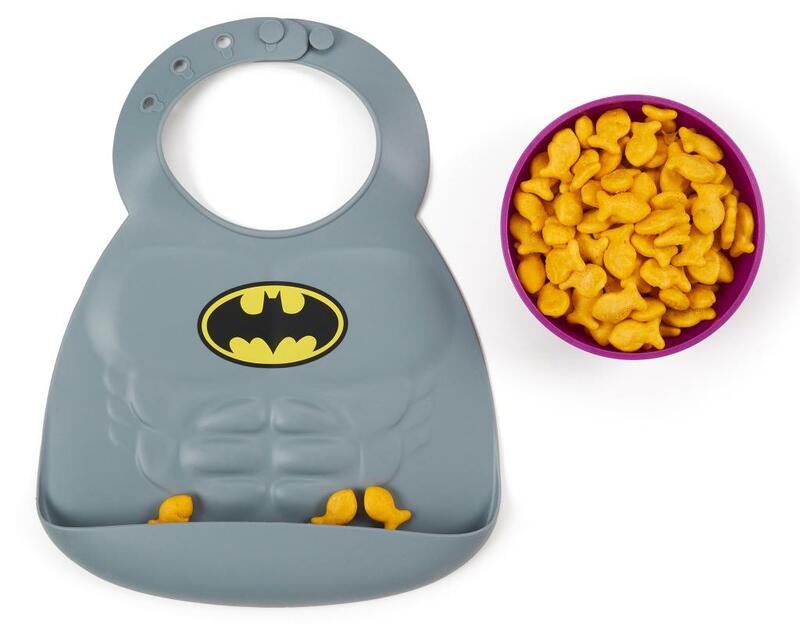 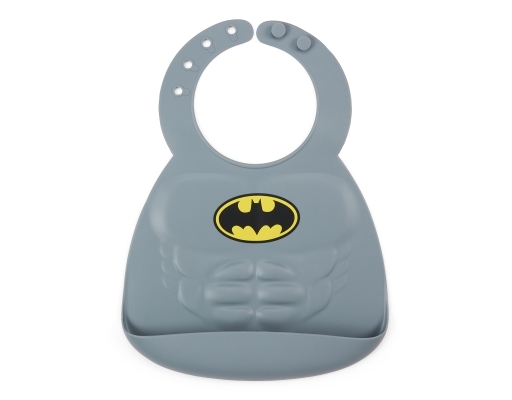 You’ll have a hard time getting little ones to take this bib off once they're done at the high chair! Made from 100% food grade silicone, the Bumkins DC Comics Silicone Bib is sculpted to look like the Batman suit, complete with muscle definition, and emblazoned with a colorful logo. 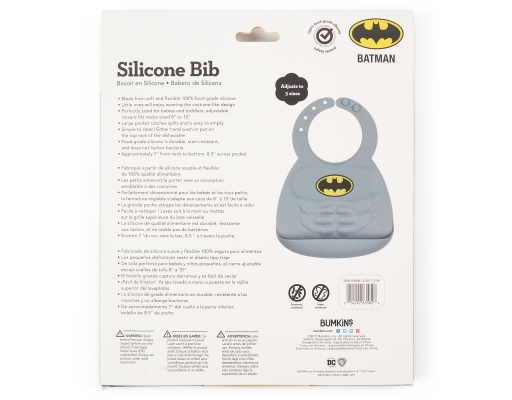 Soft and flexible, the bib has an adjustable neck and fits children ages 6-24 months. 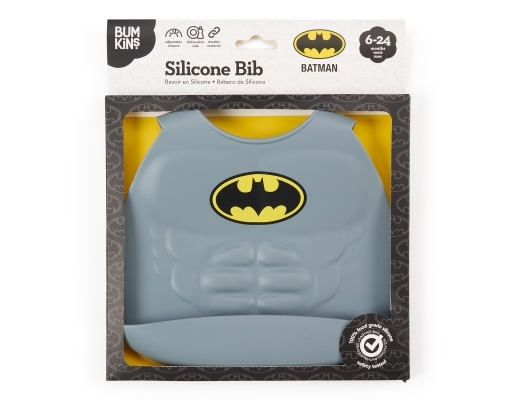 A large pocket catches spills, and the silicone cleans up easily by rinsing under water or putting in the dishwasher (top rack). CPSIA tested. Free of BPA, PVC, Lead, Cadmium and Phthalates. • Perfectly sized for babies and toddlers, adjustable closure fits necks sized 8" to 10"